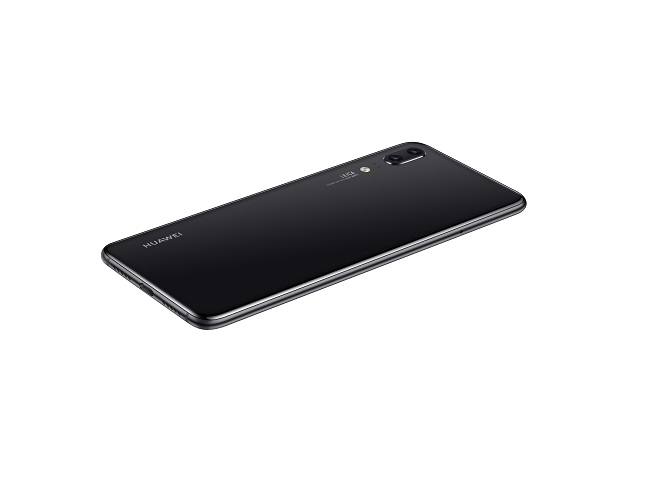 Hands On Over the years, very few phone makers other than Samsung have produced a phone that might tempt an iPhone stalwart to switch to Android, but Huawei may have just joined the elite. Huawei’s new flagship threatens to match or best any rival with its photography - particularly in low light. The Chinese giant took the wraps off its P20 and P20 Pro flagship line today in Paris. To date Huawei’s partnership with Leica has been more of a co-branding - but with the P20 its big behind-the-scenes investment pays off with a significant leap in quality. The P20 achieves pretty remarkable results in low light thanks to a triple-sensor unit, the biggest of which is a 40MP sensor, and very large 2um pixels, flooding the image with light, even in near-pitch black conditions, we found with images we took earlier this month. Huawei claims about four times the light is captured when compared with rival smartphones. This resolves to a 51,200 maximum ISO, compared to 6,400 ISO on the Samsung Galaxy S9 and Apple iPhone X. The Pro's units feature f/1.6 and f/2.4 aperture. The gobsmacking photos it can take in low light are partly down to the hardware, and partly down to “AI image stabilisation”, with the phone taking an eight-second exposure then weeding out artefacts and blur. I’m not sure why it’s called AI when really it’s interpolation, but that’s modern tech marketing for you. Zoom was also highly impressive - Huawei claims a 3x lossless zoom - producing readable results from text at a distance. Two drawbacks face the prospective buyer, though. The price, as with Google’s Pixel 2, is a reflection that Huawei thinks it has got something dramatically different here, perhaps not as different as Nokia’s 41 megapixel oversampling Lumia 1020 from almost five years ago. So it isn’t cheap, with the P20 Pro, the one you really want, burning a €899 hole in your wallet. And Huawei retains its heavy-handed EMUI skin, with barely any concessions to its critics. And some will bleat that the P20 Pro loses the microSD Card slot – both spaces in the tray are reserved for SIM cards. It seems an odd decision for a Pro model. The 6.1 inch diagonal P20 Pro uses a “19:9” OLED panel that we’re seeing a lot of this year, meaning there’s an iPhone X style notch at the top of the display - although you can turn this off if it annoys you. And it might: Huawei’s own software adapts to the notch, but third party software might not, at least until Android P ships: the next Android will have “display cutout support”. The regular features a non-removable 3,400mAh battery with a 4,000mAh for the Pro. The regular P20 features 4GB RAM and 128GB non-expandable storage, and the Pro has 6GB RAM and 128GB. 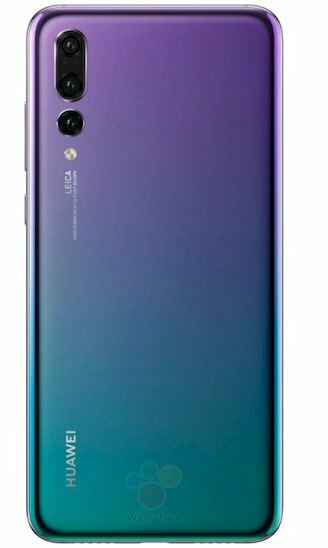 The devices are powered by Android 8.1 on Huawei's 10nm 64-bit Kirin 970 CPU: it has four Arm Cortex A73 cores at 2.36GHz, and four Arm Cortex A53 cores at 1.8GHz, plus an Arm Mali-G72 MP12 GPU. The Pro is rated water and dust resident to IP67, but the regular P20 is only rated IP53. Only the Pro gets the 7MP telephoto lens. The imaging has other tricks, although these aren’t as dramatic as the nighttime shots or the zoom. There’s a super slow-mo capture at 960fps at 720 pixels. However on the pre-production unit I used, I noticed a long, multi-second delay each time. Either that gets optimised pronto, or the feature will go unused. Huawei boasts of “AI Assisted Composition” which adjusts to level out a landscape, for example, or squeeze everyone into a photo. And the more dubious object recognition. Hot Dog or Not Hot Dog? A rather more useful application of neural guesswork is implemented in the focus algorithms, which can keep track of a moving object very well: such as a child, or a flower in the breeze. In an odd choice for a tall device, Huawei opted to keep the fingerprint sensor on the front, where it’s very low down - so low the phone risks flopping out of your hand as you stretch for it. The sensor retains the neat trick of taking navigation swipes, and as with the Notch, you can turn it off and use an on-screen navigation bar, or a floating navigation button. And EMUI, Huawei's custom user interface? Sigh. Officially it’s bumped up to 8.1, but I spent about an hour mucking about with the P20 Pro, ahead of today's launch, and I couldn't tell any difference from the EMUI 8.0 in the Mate 10 Pro.